Recently, web dramas have been a trend. What is a web drama? A web drama is somehow like the normal KDramas wherein it depicts a story but the difference is a web drama is a short one usually uploaded on the internet (like Youtube, etc.). Since web dramas are “IN” these days, a lot of KPOP groups and bands are also lending their voices for the OSTs. Here are some of the OSTs you should add to your playlist (coz they are really from Playlist). One of the most talked about web drama this year was Playlist’s A-Teen. It talks about the life the teenagers. It is about school, friendship, romance, and everything that a normal teenager can experience. What made this web drama more interesting is when Seventeen lent their voices for the powerful and cool OST. 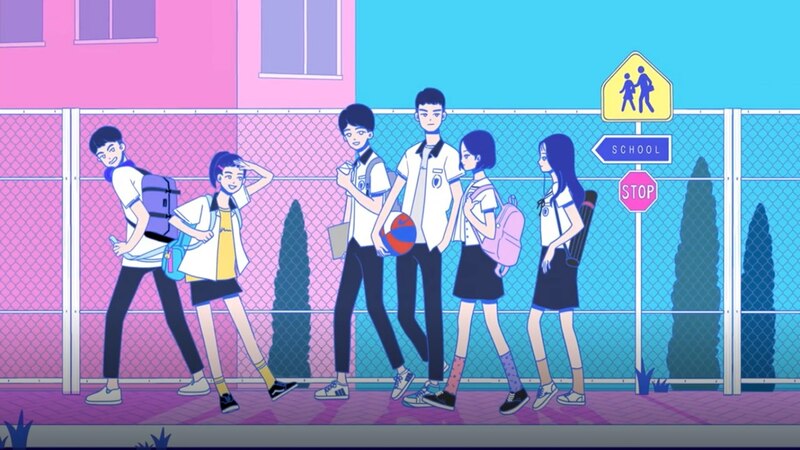 Another web drama from playlist, ‘Even More, 19‘ (‘When They Tell You Not To, You Want To Do It Even More, 19‘) has been roaming around the internet lately. This is actually a new Playlist drama wherein it tells the story of five, 3rd year high schoolers whose live their lives wanting to do what the adults told not to do. This catchy and lively song serves as the main theme song for ‘Even More, 19’. Another web drama from Playlist, Luv Pub. The web drama shows the lives, relationships and dreams of part-timers working in ‘Luv Pub’. This OST is a ballad song about a break up and the girl somehow wants to reconcile with the guy as she reminisces their love. I Don’t Remember is an OST from the web drama Just One Bite. Just One Bite is a story of three girls who loves to eat a lot of food while talking about their relationships with each other. The vocal of Honeyst, who sang this song, happens to be one of the main leads in the web drama. One of the most successful web dramas in this time is the Love Playlist. It is a story about the ups and downs in the lives of college students. This web drama already has its season 2 since a lot really can relate to it. In this song, Never Ending, the actors of the web drama shares that they have these precious memories that they will treasure forever. Have you listened to other web drama OSTs? What are your favorites?